A review of proper lightning protection system design and application as conforms with UL and NFPA lightning protection requirements. ECLE representatives have been authorized by the Lightning Safety Alliance (LSA) to provide continuing education programs on lightning protection. The LSA is a Registered Provider with the American Institute of Architects Continuing Education System. Credit earned upon completion LSA programs will be reported to AIA/CES. ECLE representatives will be happy to come out and coordinate a presentation for you. There is no cost to bring this program to a firm or organization chapter. We’ll even bring lunch! The Lightning Protection Institute (LPI) designs and develops information resources on complete lightning protection systems for consumers & specifiers. The organization markets education products to members for use in the construction industry. The focus is to develop the total market for lightning protection through promotion of National Standards with supporting loss data, experience from past design, and new information from research. 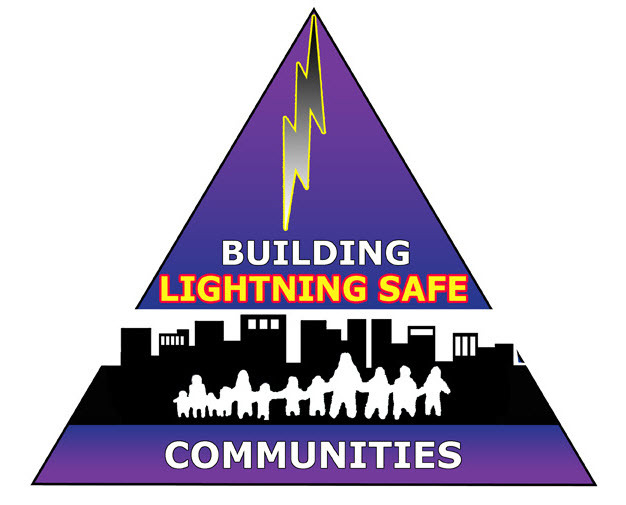 Lightning Safety Alliance (LSA) is a non-profit, non-stock national business corporation comprised of lightning protection manufacturers, distributors and installers. Its purpose is to provide a comprehensive and focused evaluation and response to legislative, administrative and regulatory issues facing the industry. Additionally, the LSA will act as an informational clearinghouse for its membership. United Lightning Protection Association (ULPA) founded in 1936, the ULPA is an association of lightning protection manufacturers, engineers, contractors and technicians dedicated to promoting and supporting lightning protection in accordance with the nationally recognized safety standards of Lightning Protection Institute (LPI), the National Fire Protection Association (NFPA) and Underwriters Laboratories (UL). Underwriters Laboratories Inc. (UL) has been testing and certifying lightning protection equipment since 1908. UL issues certificates of conformance for systems, inspecting system components and checking completed installations. 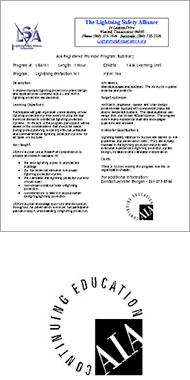 Installations are required to comply with UL’s internationally recognized Standards for lightning protection systems. Manufacturers, suppliers and installers demonstrate their commitment to safety by building, selling, and installing only those lightning protection products that pass UL’s rigorous testing. The Lightning Protection Institute Inspection Program (LPI-IP) was created to promote the use of and enforce the highest standards of quality and safety in the design and installation of lightning protection systems. The program tests and certifies competence in lightning protection systems design, installation and inspection to assure greater public safety by extending the use of proper lightning protection systems and promoting the practice of personal safety measures. 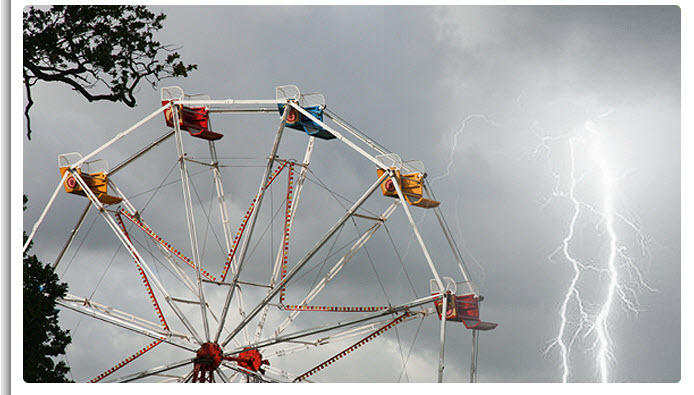 An online lightning safety resource to educate consumers, design professionals and facility operators about effective lightning protection measures and best practices in lightning safety strategies for outdoor recreational facilities such as theme parks, golf courses, playgrounds and sports stadiums. A partnership campaign helping to provide lightning protection services to keep at-risk structures and occupants safe from nature's destructive hazard. Building Lightning safe communities. Sponsored by LPI and LSA.